Huge is about to get huge-er as Fun Spot America has debuted two new coasters as part of an expansion that will almost triple the size of the park off of International Drive. Freedom Flyer, their Vekoma suspended family coaster, has already been open to the public for almost a week. The coaster, made by Chance Rides, is 1,200+ feet long, 64 feet high and reaches a speed of 34 mph. Below you’ll find an on-ride POV and off-ride footage. 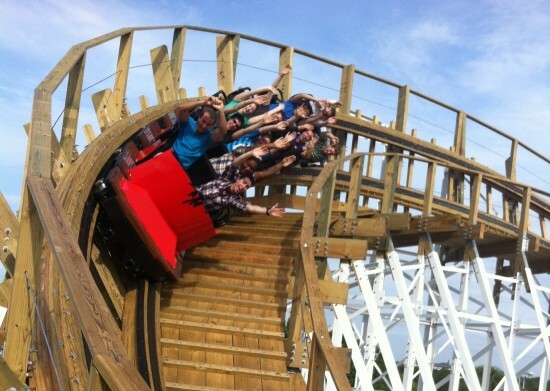 White Lightning, their wooden coaster, opened to the public today and is Orlando’s only wooden coaster. Made by Great Coasters International, the track is 2,000+ feet long, 75 feet high and reaches a speed of 48 mph. Below you’ll find off-ride footage and an on-ride POV. Though the two roller coasters are open to the public, their Skycoaster is still being tested and not open yet. Fun Spot America’s expansion will officially open June 8, 2013. Special thanks to Theme Park Review for providing the POV footage.